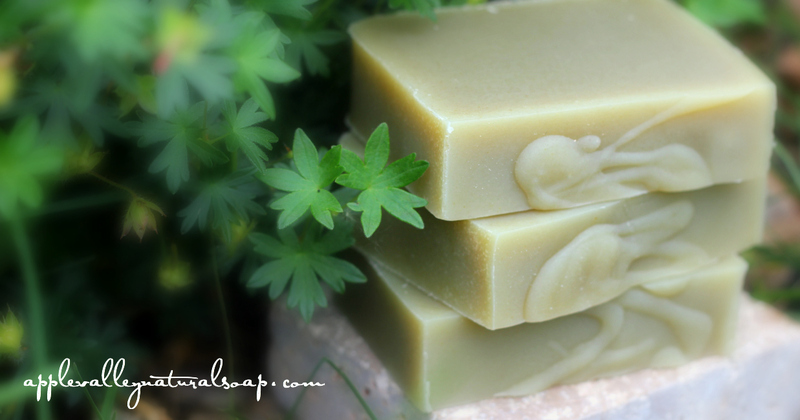 Natural Ingredients You won't find man-made colors, preservatives, detergents or additives in our artisan, hand made soap. Our cold-process, gourmet soaps are bio-degradable and rich in natural glycerin. Many of our products are naturally scented with therapeutic grade essential oils such as lavender, tea tree, ylang ylang, geranium, patchouli, tangerine and rosemary that have added health benefits as well. We color our soaps naturally with organic herbs and spices, vegetable juices and clays. Find out more about a few of our products which contain phthlate-free fragrance oil, and why we choose to keep them in stock. Variety We offer a wide range of deliciously scented, visually pleasing and amazingly nourishing selections. Every single Apple Valley Natural Soap recipe is completely different and carefully formulated with a variety of luxurious ingredients like buttermilk, coconut milk, goat milk, rhassoul clay, yogurt, aloe vera, and oatmeal to offer a variety of unique qualities for all types of skin needs. If you are looking for products which are specifically Vegan or Gluten Free, we have plenty to choose from. Find out more about what Vegan and Gluten Free here. Longer cure time Our cold-process soap is cured for a minimum of 6-8 weeks before time of sale which allows most of the moisture in the bar to evaporate, giving you a hard, mild, long lasting bar of natural soap.